Neem also known as Indian iliac is an excellent plant which has so many medicinal and beauty uses. Neem leaves and neem powder can be used for so many skin and hair care treatments at home like neem powder/leaves help to control dandruff, prickly heat, rashes etc. Neem powder is also used to reduce the bacterial infection that causes acne and pimples. 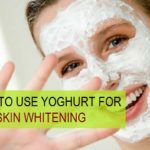 Thus you get clear and clean skin. Here we will share the amazing benefits and uses of the neem leaves and neem powder. These remedies can be tried at home by men, women and for kids. Neem is anti bacterial thus, it cures the acne by killing the acne and pimple causing bacterial. 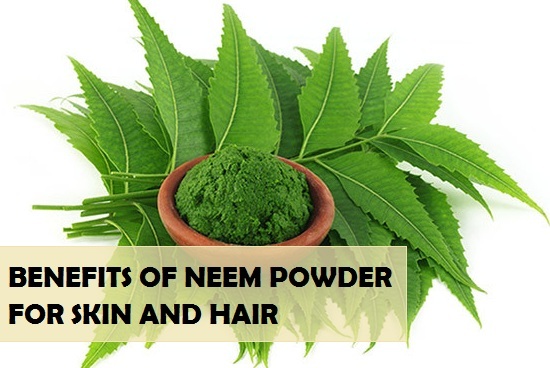 Neem powder helps to get rid of the dandruff which is a fungal infection of scalp. 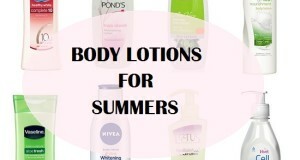 It also reduces the skin ailments like psoriasis, eczema and other skin related infection. Neem powder cures the boils, prickly heat and other minor skin problems. Face packs enriched with neem also reduces the acne marks and scars. Neem also kills the lice that are present in the head. Neem retains skin moisture therefore, helps in dry parched skin. Neem also eliminates the blackheads as it is capable of clearing the blocked pores. Take some neem leaves and let them sun dried. When they get crisper and no moisture is left in them, then put them in the blender and grind. They are now be grinded easily with hands as well but to be better, grinding them in grinder to get the powder form is the best. Neem powder is also available in the local shops so you can get that from there too. So, now that we know neem has so many great benefits for the face, body and hair. Let’s see how we can use neem powder to reap the benefits and get rid of the skin and hair problems. Neem is anti bacterial and hence is highly potential to get rid of the dandruff and scalp itching. 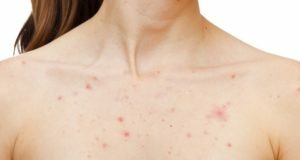 This problem is not easy as this is embarrassing and leaves dandruff flakes all over the body and clothes. You know that this simple neem tip will cure your dandruff faster from the first usage. Check out. Make the paste slightly runny and add 1 teaspoonful of almond oil so that there is conditioning of scalp at the same time. Apply this paste on the scalp and leave for 60 minutes. Wash the hair after that. Try this once in a week to get relief from dandruff quickly. Lice can be problematic for men, women and even small kids. Kids find it really hard to concentrate on the studies due to lice. Lice also makes the scalp itchy and it is very embarrassing in public. But lice can be removed by neem, just try this quick neem beauty recipe. Take 2 teaspoonful of neem powder and make paste of neem powder with water. Evenly apply on the scalp for one hour. Rinse the scalp with normal water. Within 2-3 usage this treatment will help to kill the lice. Follow this every month once thereafter so that the lice do not come and thrive again in the scalp. Neem is antibacterial and is considered best way to cure your face acne and pimple problem. So, you too can take immense benefits with this tree. Neem leaves, neem oil everything is used to treat the acne. The best is the neem powder. 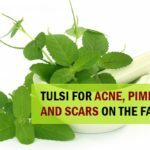 Try this recipe and get a pimple free skin. Take 1 teaspoonful of neem powder and make a paste with rose water. Apply this neem pack on the face and wash after 25 minutes. Do this home remedy for 3 times in a week. This will cure the pimple and acne fastly as neem has anti septic and anti bacterial skin benefiting properties. Acne marks on the face can make teenagers and adults as well conscious of their appearance. Natural things can effectively minimize the marsk from your skin. 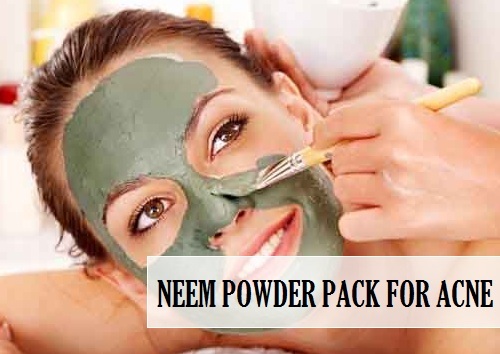 This neem powder pack will treat the acne and sun tan off the face. So, try this too. Mix 1 teaspoonful of neem powder with 1 teaspoonful of curd or yoghurt. Apply this pack on your face and neck too evenly. Allow this to get dried for 30 minutes then wash the face with plain water. 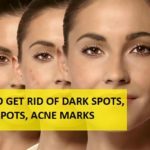 Do this tip once or twice in a week for getting rid of the marks. This natural simple beauty tip will also enhance the skin evenness by reducing the scars and acne marks. While bathing, add 1 teaspoonful of neem powder in the bath water. This will make the bath water enriched with the neem properties like anti fungal and antiseptic. Thus when you bath with this water, it will cure the prickly heat, boils on the body and skin allergies. Skin problems like eczema, psoriasis etc can also be healed with neem. Mix some neem powder with pure almond oil and apply on the dry skin. Let it dry for 15 minutes. Wash the skin after that. This is an effective neem treatment for curing the excessive dryness of the facial skin. Take 1 teaspoonful of neem powder. Mix with 4 teaspoonful of coconut oil and apply that on the scalp. 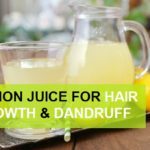 This will help to induce the natural hair growth and relieves in hair thinning. Do not rub too much. 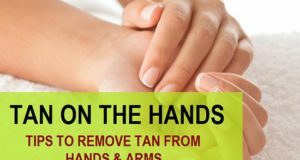 Use light hands to apply that. This oil remedy with neem powder stimulates the dormant hair follicles to induce the hair growth. Not only that this will also cure your thinning hair. 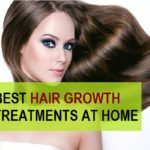 hair thinning is a major problem and you would be happy to know that neem is an effective way. 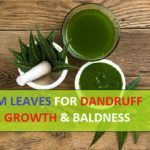 Apart from that, check out our detailed post on how to use neem leaves and powder for hair growth, where you will see numerous remedies to fight hair fall etc with neem. So, these were the benefits of neem for skin and hair. 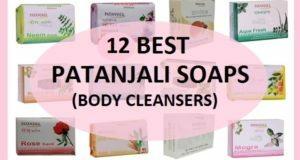 If you like natural products for skin care and hair care then don’t forget to read these posts too.